Beating the market is an obvious goal for active investors. After all, if you’re not beating a zero-effort passive index, why go to all the time and trouble of being active? Private investors often obsess over whether or not they beat the market last year, or over the last few years. 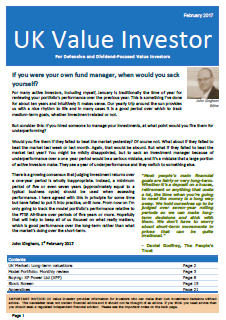 Professional investors often explicitly benchmark their funds against a market index such as the FTSE 100 or FTSE All-Share. 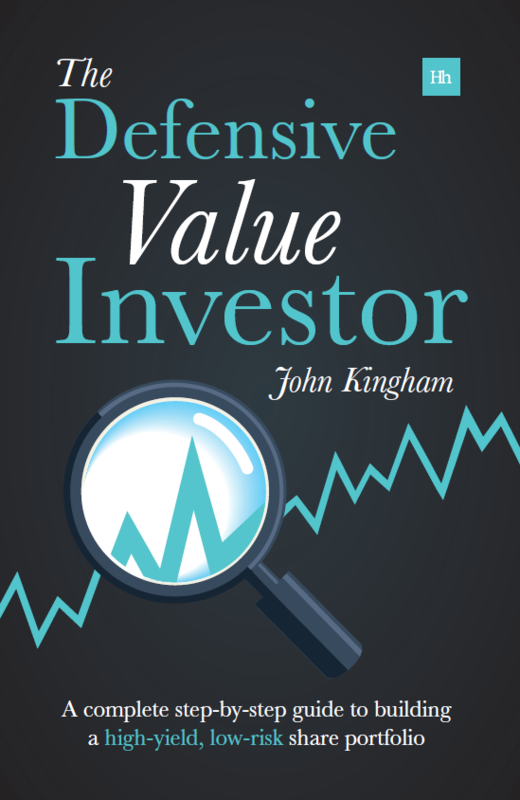 Conventional thinking says that if an investor has beaten the market, over whatever timeframe, they have done well. If they’ve underperformed the market, they’ve done badly. But while I think beating the market is a necessary goal it is not a sufficient goal for achieving the real outcomes that most investors want. Like most investors I want to know if my investment efforts are good or bad, so I need something to compare myself against. My portfolio is split about 50/40/10 between FTSE 100/250/Small-Cap companies, so I use the FTSE All-Share as my benchmark. It’s not perfect, but it’s simple to track and reasonably close to the size and geographic characteristics of my portfolio. Now that I’ve defined what “the market” is, what do I mean by “beating the market”? So in simple terms I want it all: A higher yield, higher total returns and less risk than the market. We have just seen the FTSE 100 break through to new highs after a wait of more than 15 years. Just think about that. 15 years in which the market made zero capital gains and for much of the time was actually losing money. And that’s before factoring in inflation. With inflation factored in the FTSE 100 would need to be at something like 9,500 to have held its value in real terms. So while beating the market may be a very sensible goal, I don’t want to jump for joy just because my portfolio has beaten something which hasn’t grown, at all, for 15 years. My point is that, like most investors, I’m not investing to beat the market; I’m investing to achieve my financial objectives, which are not the same thing. A dividend income today which they can live on, either partially or completely. I think that’s a very telling statement which shows that many (most?) people don’t generally think of their investment goals in terms of beating the market. They might decide whether they’re any good at investing or not based on whether they beat the market (the old “did I beat the market last year?” question), but their ultimate goal isn’t to beat the market; it’s to achieve their financial objectives, whatever they may be. To achieve those objectives the investors I’ve spoken to would generally prefer their investments to increase steadily each year, with as little risk as possible (which is what Bernie Madoff promised and is the key reason why he was so successful at attracting investors). So I think it would be a good idea if active investors used fixed, absolute return goals in combination with their traditional goal of beating the market. If I’m going to suggest an absolute return target, what should it be? I do hear “10% a year” bandied around quite a lot. I think that might be achievable by some investors over the long-term, but it may be too hard to reliably achieve over the medium-term (5 years) which is where most portfolios are measured. There is no magic to measuring performance over 5 years, I just think it’s a good timeframe which is not too short (where the random market will dominate performance) and not too long (where you may lose faith in your skills if you underperform for several years in a row). Rather than just picking a number out of the air, such as 10% a year, I think a reasonable goal for an actively managed, UK-focused, relatively defensive, relatively large-cap portfolio like mine would be to beat the UK market’s long-run rate of return over any given 5-year period. Fortunately the UK’s long-term returns have already been published in the Barclays Equity Gilts Study. It shows that over more than a century UK equities have returned an annualised rate of return of 5% after inflation. If I failed to achieve any of my goals for a given period then I would write myself a note, explaining why the goal had not been achieved, much as the Governor of the Bank of England has to do when the bank’s inflation target boundaries are breached. Your own portfolio may be very different to mine in terms of the size of the company’s you invest in, or the riskiness of those companies, so if you decided to use an absolute return goal it could be very different to my 5% real return target. However, regardless of the exact goal, I think most active investors should focus on beating some absolute rate of return over the medium-term as much as they already focus on beating the market. If they did that I think they would be much more likely to achieve their true long-term investment objectives, rather than worrying about what the market is currently doing. Hi M, that sounds pretty sensible to me. So effectively your benchmark is inflation plus the dividend yield, or zero plus the yield in real terms (and measured over the medium-term I would guess). That’s exactly why I wrote this post; to make people aware of the different ways of defining investment success. Yes, you’re right. I think the success should be measured against your own goals for the future, rather than a market index. Hi Andrew, it depends on what you mean by “others”. The S&P 500 is up about 40% from the start of the millennium. But I’m sure other indices have done worse of course. The US long-run rate of return is expected to continue to be higher than the UK’s, largely I think because it has much more room for population expansion. I’m also not sure what the S&P has done in terms of fundamental growth rather than price growth, i.e. its dividends and earnings have progressed. Certainly the S&P 500’s cyclically adjusted earnings (as used in CAPE) haven’t kept pace with its price growth. As a “newby ” investor I have been heavily advised to invest in a FTSE 100 tracker but with no capitol appreciation as stated above this turns into a dividend collection vehicle less the running costs and tracking error. Hi Steve, I would say that passive index-tracking investors generally shouldn’t be over-exposed to the FTSE 100 anyway. Most passive portfolios should be allocated to various different asset classes, such as equities, corporate bonds, government bonds, cash, real estate, commodities, etc. For example my son’s JISA is split equally between ETFs which track the FTSE 100, FTSE 250, a world equity index, corporate investment grade bonds and UK gilts. So his exposure to the FTSE 100 is fairly limited. Over time I’d expect a basket of funds like that to do reasonably well. As a financial planner myself, I believe you need to start from searching for your financial goals. When do you want to be financial independent? That is when you chose to work or not and you do not have to work. The first thing is to determine your disposable net income and use this for risk management (life insurance and income protection) and investments to become financial independent. I did not use the world retirement, being financial independent does not necessarly need to be in retirement. Projecting this you can determine a rate of investment return, but you need to ask if your risk profile supports it. We need to recognize not all people could bear the volatility of a 100% equity portfolio. Your risk profile was shaped in time from your family (parents), events and economic factors and it is a very stable feature of an individual. As a result of this analysis you have now an investment policy (you know in what you will invest and what investment return you target) but this may not be enough to make you financial independent. You can go back to your today’s expenditure and you may be able to strech it a bit more, but that may not be enough either, so something has to change. This is probably the hardest bit. You need to change something in your career, to do something different to earn more money. You may want to start a new business related with your profession or skill, to be your own boss etc. This is risky and you may need some savings first and wait for an opportunity. You may want to be promoted into management, where real money are made. For this you may need to change companies etc. One word of cautious from my experience, once you do better in your business/ profession etc, your goals and objectives will change too. If not yours, certainly the goals or your wife or children. The long term objectives may not change too much but the short term objectives will definitely change. In my case it was a bigger house and private education (all the way) for my son, when initially it was only planned for pre-prep. Unfortunately these have an influence on achieving your long term objectives by reducing your savings. Going back to benchmarks I am adept of keeping simple: MSCI Word index for equity, FTSE EPRA / NAREIT Global Real Estate index for property and Barclays Global Aggregate Bond index (GBP hedged eventualy) for bonds. These are your investable universe; asset allocation and stock selection is down to you. You could also use a deterministic figure i.e 8% per annum resulting from your financial plan, but I do not recommend as it usually leads to underperformance when compared with the above indexes. My recommendation is to take the figure from your financial plan, check it against your risk profile and determine a broad allocation between equities, property and bonds. Afterwards use expected real returns: 5.5% for equity, 3.5% for property and 0.5% for bonds. Hi Eugen, thanks for that comment, there’s some great information in there. The bit about improving your income having an impact on your expenses (i.e. they are positively correlated) is definitely true! Please do not remember me, the worst thing was my wife, she thought she can give up work!